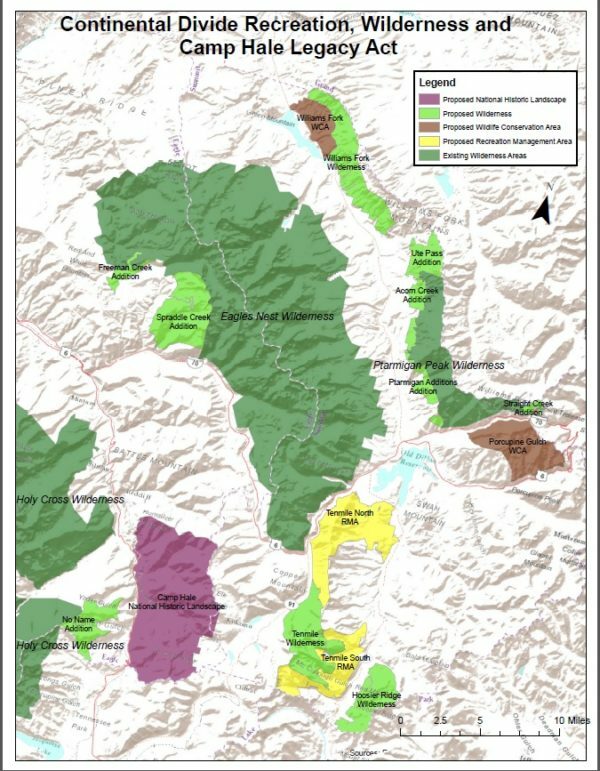 Colorado Sen. Michael Bennet and Rep. Jared Polis last month introduced the bicameral Continental Divide Recreation, Wilderness, and Camp Hale Legacy Act to designate 98,621 acres of federal lands in Eagle and Summit counties as protected wilderness areas. Last month’s announcement was timed for the kickoff of the Outdoor Retailer Snow Show, which moved to Denver this year after many years in Salt Lake City. The Outdoor Industry Association estimates Colorado’s annual revenues from outdoor recreation at $28 billion. “I can’t think of a better case for public lands than the Continental Divide Bill that we’ve just introduced,” Bennet said.